It’s December, folks, which means Christmas is just around the corner. Santa’s making his list, and checking it twice. He’s going to find out who’s naughty or nice. So you better be good … or he’ll gouge your eyes out with a tin soldier and hang you from a wall-mounted deer head. This week we’re looking at everything that makes Santa so truly terrifying. That’s right! 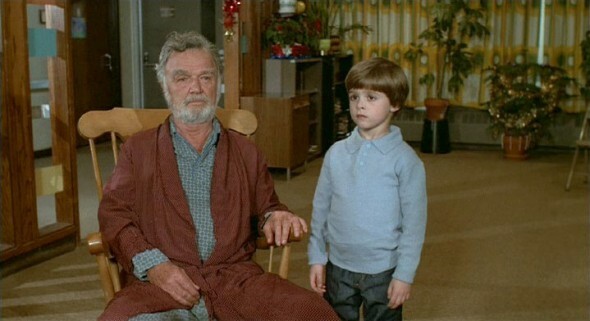 We’re starting off this fine holiday season with a look at Silent Night Deadly Night and Christmas Evil. So trim that tree, hang those stockings, and make damn sure you leave out some cookies and milk … or else! Check out the Canadian Association of Online Film Critics’ website for information on how to become a member, and all their wonderful benefits. Our last panel of the year is on Thursday, December 8th at 7:00pm at the Carlton Cinema. The topic du jour is Podcasts! Our expert panel will discuss everything you need to know about running your own podcast, followed by a Q&A where you can ask whatever tickles you! Share your Christmas festivities with us on Facebook, Twitter, and Instagram. Subscribe to and rate A Frame Apart on iTunes, follow us on SoundCloud, check us out on Google Play Music, Stitcher, or the Pocket Casts app. Leave us comments and we’ll read them on the show! And, of course, enjoy the show, and be excellent to each other!